Increasing numbers of children, especially very young children, are now giving evidence in criminal court proceedings and concern about the difficulties child witnesses face m this adult oriented system has resulted in two major areas of legal reform. These are the removal or reduction of formal barriers to children’s testimony in the form of competence and corroboration requirements, and the introduction of special procedures and physical facilities to reduce the emotional pressures of testifying. Although the implementation of these measures depends largely on judicial discretion, we know little about the credibility of child witnesses in judicial eyes and little about judicial acceptance of these measures. We also know little about the way these procedures and the whole court process are perceived by child witnesses and their parents, nor about the effects that changes in the system have had on the prosecution process. Judicial cooperation in New South Wales, however, allowed this research to be carried out. One aim of this monograph is therefore to provide feedback to the judicial officers who participated in the research. Their assistance is much appreciated by the authors. The second study reports the views of child witnesses and their parents about their experience at court, and was conducted as part of the work of the DPP’s Sexual Assault Review Committee. Its value lies in providing feedback to the legal professionals involved with these children about the way children see the process. In particular, the importance of the judicial role in children’s eyes is highlighted by the finding that children’s perceptions that the judge was fair were clearly related to their views of the fairness of the defence lawyer and of the way they were treated at court. The fairer the judge, the fairer the defence lawyer is seen to be. Similarly, the fairer the judge, the fairer children and parents thought the child’s treatment at court was. Although parents were often unwilling to put their children through the stress of a court appearance, a supportive judge, or one who was perceived to be supportive, was seen to have a positive effect. The final study examines the way cases of child sexual assault are prosecuted in New South Wales, and in particular, the changes that have occurred in this process over the last decade. It is based on data from the NSW Bureau of Crime Statistics and Research and on reports completed by DPP solicitors in relation to cases of child sexual assault they dealt with over a 12-month period either at committal or trial. It is reproduced by courtesy of the Australian and New Zealand Journal of Criminology. 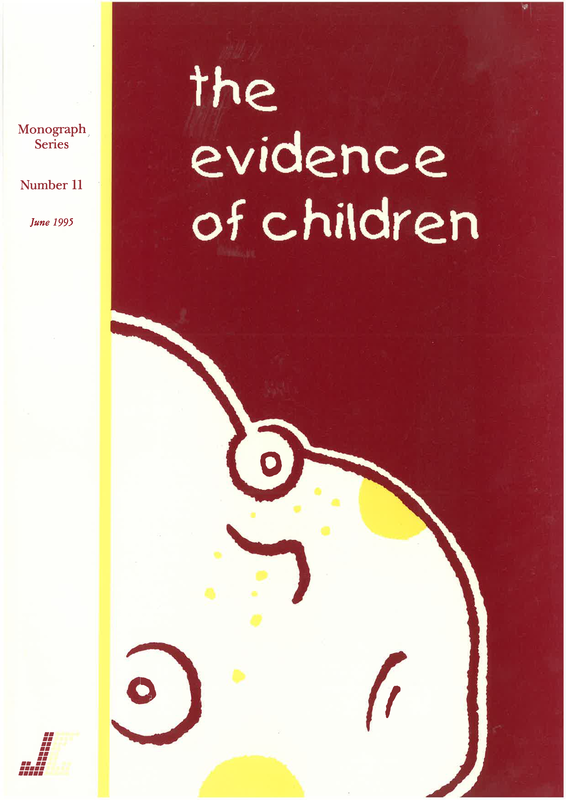 1 Hafemeister TL and Melton GB “The impact of social science research on the judiciary” in GB Melton (ed) Reforming the law: the impact of child development research, 1987, Guildford Press, New York, p 33.